Luxury Townhome in gated Central Park shows like a model! 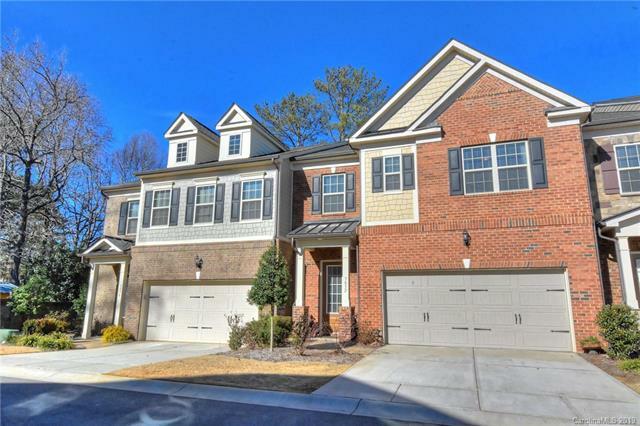 Perfect location for all south Charlotte has to offer - shopping, restaurants, easy access to I485 and top rated schools. Open floor plan for easy living and entertaining plus QUIET outdoor space. This home has all the upgrades! Kitchen has 42" cabinetry, island w/breakfast bar, granite counters and Kitchenaid stainless steel appliances. Relax in the great room featuring a stacked stone gas log fireplace, coffered ceiling with recessed lighting and surround sound. All bedrooms have private baths. Master retreat has sitting area opening to screened balcony. Spa-like master bath with his & her vanities and walk in closets, garden tub and tiled walk in shower with rain shower head. 10' ceilings on main, 5 inch hardwoods throughout main, on stairs and upstairs hall, iron balusters, custom lighting, laundry with upper cabinets and more! Plentiful custom cabinets in garage for all your storage needs.